CLA Coupe: this vehicle just made its debut at CES in Las Vegas. The new CLA will feature MBUX Interior Assist, which responds to commands and gestures while also learning about your habits to offer more assistance and keep you safe while you’re behind the wheel. Other available features will include various Intelligent Drive functions, as well as improved aerodynamics. The CLA will be a little bit longer and wider, though it will maintain its sporty look and feel. Under the hood will be a turbocharged, inline 4 cylinder engine with 221 horsepower and 258 lb-ft of torque. A-Class Sedan: We're just as excited to see this one in person as you are! If you love cutting-edge technology, this is definitely going to be the Mercedes-Benz for you. MBUX lets you use a range of voice commands in every day speech, and touch-control buttons means using everything you see is as intuitive as using your smartphone. Wireless charging will be an available options, and lots of USB ports means everyone can charge their devices while you’re on the road. Of course, there will be plenty of the hottest Mercedes-Benz features available, too, including Parking Assist, DYNAMIC SELECT, AMG styling, and 4MATIC all-wheel drive. GLE SUV: Anticipated for the first half of this calendar year, the 2020 GLE has been fully refreshed. In addition to many of the Mercedes-Benz features you already know and love, the 2020 GLE will have a huge 12.3 inch touchscreen multimedia display, as well as 12.3 inch digital instrument cluster. MBUX will be available on this model as well, including the enhanced navigation system and augmented reality technology that goes with it. You may be driving an SUV, but it will certainly be the coolest SUV on the block. G 63: For model year 2019, the G Class receives its first redesign since it was introduced 40 years ago! The hand-built, 577-horsepower engine gets you from 0-60 in just 4.4 seconds. Just like the G 550, the G 63 is both bigger and more spacious, while also being some 350 pounds lighter. In addition to the redesigned cockpit, the AMG Performance all-wheel drive system now features a 40 to 60 front/rear torque distribution, giving your new G 63 maximum traction during acceleration. On road or off, the G 63 was built to perform. GT 63: The newest addition to the lineup, this is a full AMG vehicle, built from the ground up. The 4 door coupe is adapted from its racing brethren to ensure maximum performance. The hand-built engine delivers 630-horsepower, 664 lb-ft of torque, and races from 0-60 in amere 3.1 seconds (GT 63 S). In the cockpit, you’ll find everything you’d expect from a Mercedes-AMG vehicle: exclusive interior and exterior finishing options, touch controls, widescreen display, and more. No exact dates are available just yet, but we’re anticipating the GT 63 to begin roaring into our dealerships sometime during the first portion of the year. Of course, this is just the tip of the expected 2019 Mercedes-Benz lineup. We frequently post about our favorite new arrivals on our social media pages. Our inventory online is constantly being updated. For the most up to date information about a specific vehicle, please give us a call or send us an email, and our sales team would be happy to assist you. We'd love to hear from you! Do you have a question or need to get more details about something we've covered? 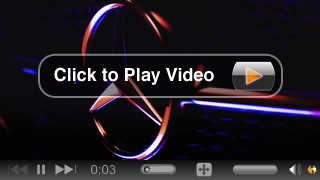 Want to tell us about your most recent experience at one of our Mercedes-Benz dealerships? You can reach us at MBFeedback@herbchambers.com.